Photos: On Rowan and Ash. Co. Cork, SW Ireland. 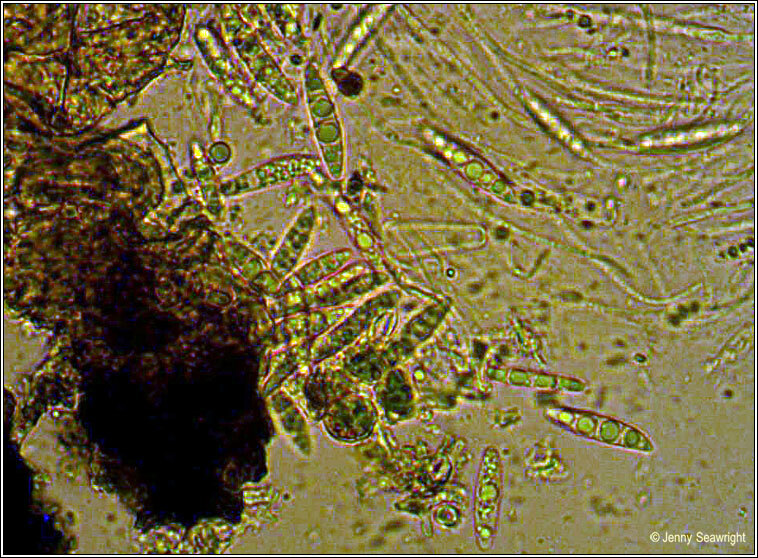 Thin reddish-brown thallus, greener in shade, prothallus absent. 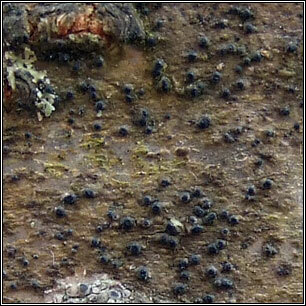 Small black perithecia, usually 0.1-0.2mm diam, the involucrellum purplish-brown. 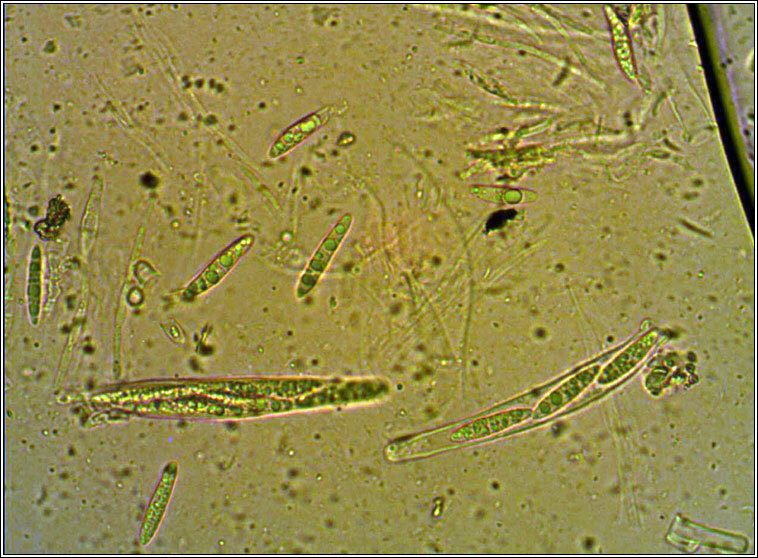 Spores are 3-septate, 13-20(-24) x 3.5-5 µm. Microscope photographs below. 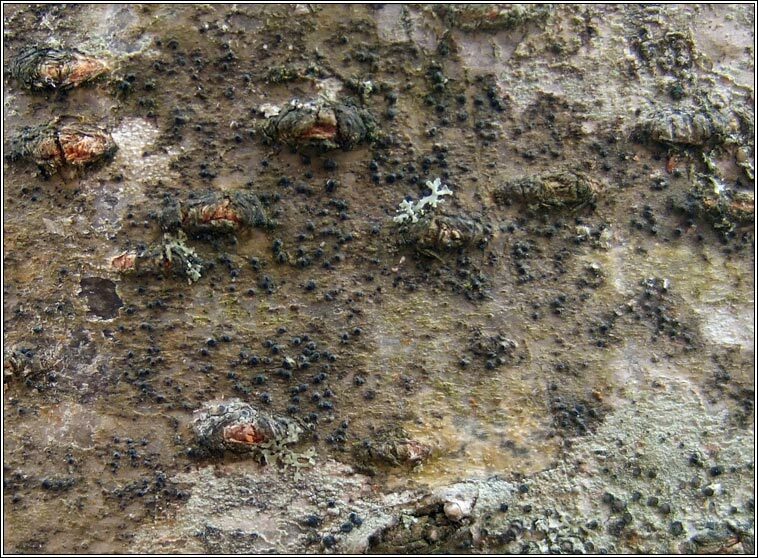 Can be common in urban areas on trunks, branches and twigs of lightly shaded, young, smooth-barked trees, especially Ash and acers. Also found at the base of conifers in plantations. 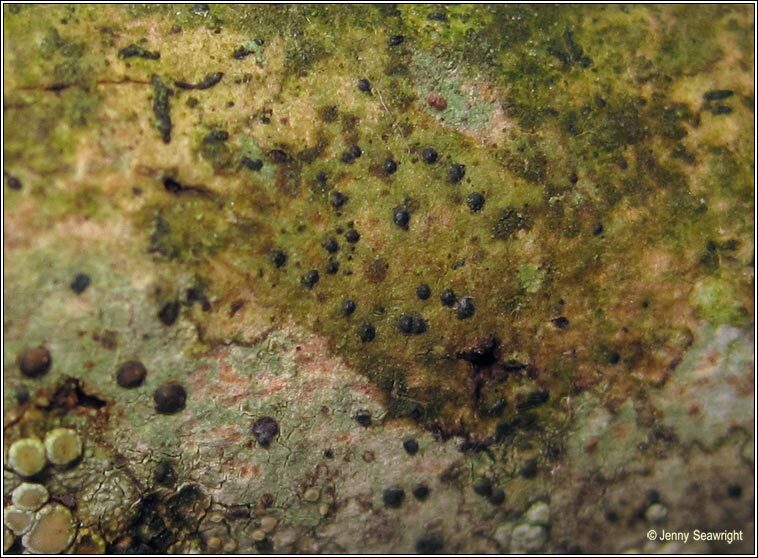 Similar: Porina borreri: Perithecia to 0.5mm, spores 6-7 septate. Strigula taylorii: Larger, +/- conical perithecia scattered among numerous dark pycnidia. Spores 1-septate, easily broken.